If your payment is declined, please DO NOT attempt to process the payment again. Call us at 925-803-2460. 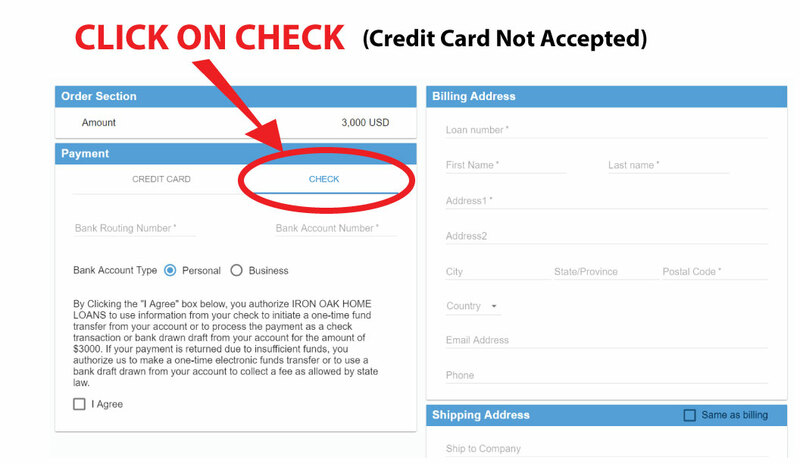 After entering payment amount, please be sure to click on the "Check" tab under the payment area (do NOT use the "Credit Card" tab). If you have any additional questions, email us at: customerservice@ironoak1.com for assistance. Please include your name and property address.